Continuing on my exploration of classic fantasy, I found four fabulous reads. Some are dark, others light. All compelling, intriguing adventures. Ursula K Le Guin’s A Wizard of Earthsea tells the story of Ged, who grows up to become the most powerful wizard in Earthsea. But first he has a lot of growing up to do. Enamored with his own power, trying to best a challenger who has wounded his pride, Ged calls up a dark shadow that threatens the world. Only by facing it head on does he learn how to defeat it. Only by owning up to his own mistakes and failures does he find victory and peace. One feature of this novel is that it has no wars, which is unusual for a fantasy. The author thought there were more important stories to tell. She is right. While this book was clearly written for middle grade or teenagers, it’s still enjoyable for anyone. It takes you on Ged’s inner adventure of self-discovery, which can be enlightening for all of us. Homeland by R A Salvatore is another adventure of self-discovery, written for an older audience. Never having played Dungeons and Dragons, I had no idea of all the stories that have spun out of that game. Homeland is one of them. Its protagonist is a drow (dark elf) ranger named Drizzt Do’Urden, who appeared in the Icewind Dale Trilogy. Homeland is the first of a trilogy that explores how Drizzt abandoned his home in Underdark, turning his back on that evil society and his family who want nothing more than to see him dead. This is an adventure I might not have gone on, had I known more about it. But in spite of the sheer evil of the inhabitants of Underdark, I became intrigued by Drizzt. He can’t stomach the evil around him and abhors the worship of the vile Spider Queen. His efforts to maintain his integrity in the face of personal danger show his growth and how he learns to not accept the evil around him. Not action packed high octane like so many fantasies are, but rather a complex intellectual puzzle that builds the tension and keeps you turning the pages. The Black Company is a band of mercenaries. For centuries, they’ve hired themselves out to fight the battles of other people. Croaker, who serves both as the Company’s physician and annalist, begins to question what they are doing when suddenly they find themselves fighting on the side of those they had previously considered evil. Croaker begins to see that those on the side of good can do evil deeds in the name of their cause, while evil people can occasionally show mercy. And the world The Black Company inhabits is imaginative and unique. Sorcerers are common, whales fly, rocks talk. In spite of the brutality and darkness, it was easy to get lost in this series (I ended up reading the first three). The author brings his characters to life, and they became more human and complex, rather than clearly defined heroes and villains. All of which combined to an interesting read, that made me think. How often do we cast people as mean or hateful, or good and compassionate, failing to see the strengths and flaws we all bear? 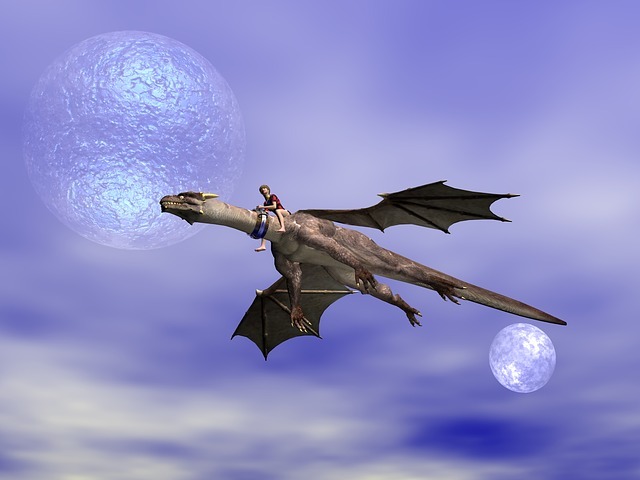 Dragonflight is the first in the Dragonriders of Perm series. Lessa has toiled for ten long years as a kitchen drudge, plotting her revenge on those who killed her father and stole his lands. Then she meets the dragon queen and her life takes a surprising turn. Lessa is propelled into a position of influence, just as an ancient danger threatens the existence of Perm, a danger many thought was merely a myth and would never return. A delightful read for teenagers, Dragonflight and Lessa’s adventures entertain and enchant.